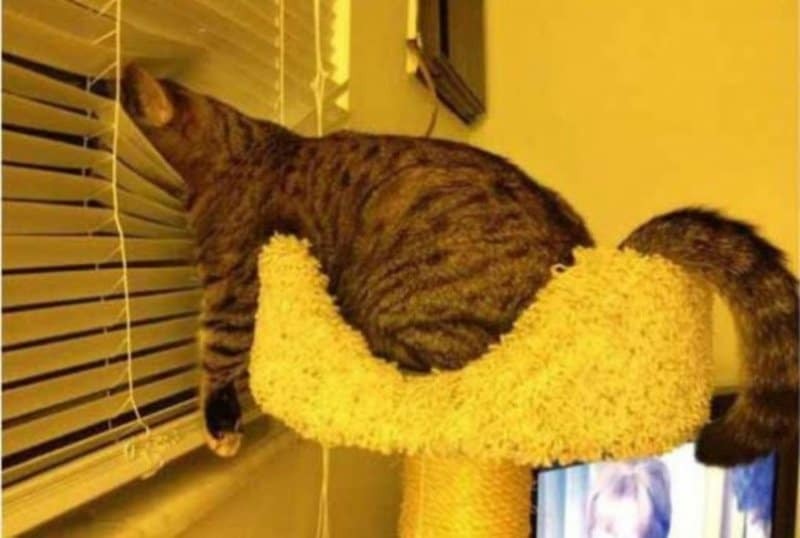 Cats love hanging around on ledges, and this guy wasn’t going to let a set of blinds stop him from taking a gander at the outside world. Keep those windows open, Mom! 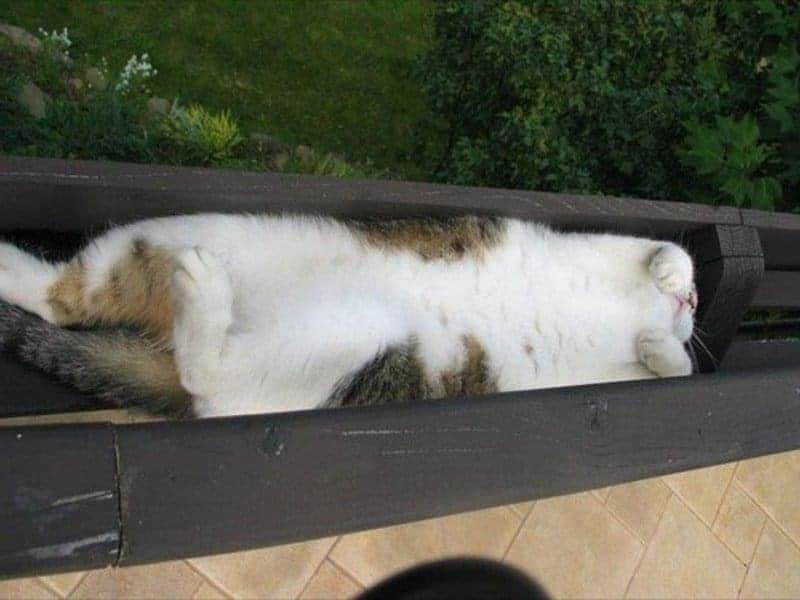 Another item cats find as comfortable as humans is anything fluffy. Admit it — if you were able to fit in that comfortable boot of yours, you’d plow right into one too. 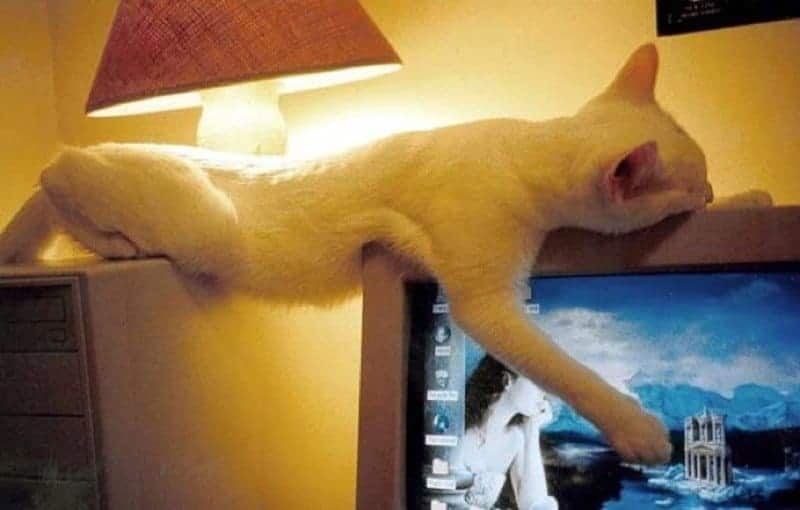 Sure, kittens will sleep on top of a computer tower and perhaps on top of an old CRT monitor. But both? 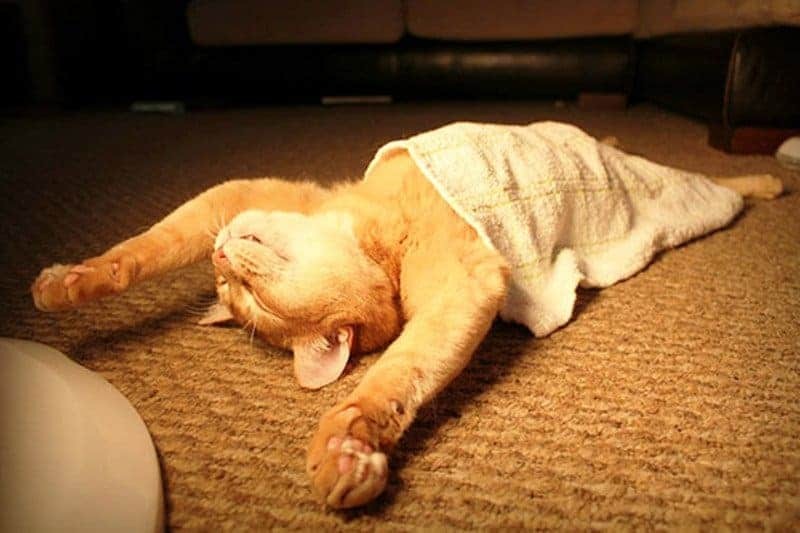 This poor kitty must have had to wake up to aches and pains. 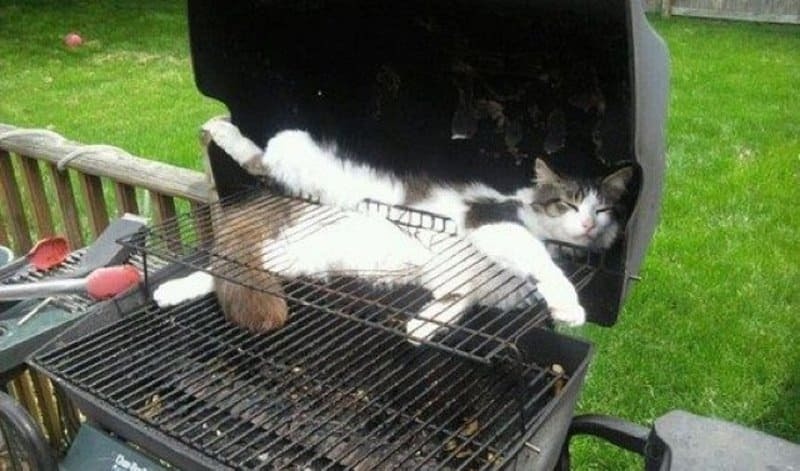 One of the more daring cats on the list apparently loves to hang out on the grates of a barbecue. Not only is that pretty disgusting to be laying on top of old meat, but it also could make them the next meal. Another adventurous outside wanderer found their way into what looks to be either a house gutter or the railing of a deck. Either way, they made it into a perfect bed. We all know that person who got drunk and decided to sleep awkwardly on a chair. 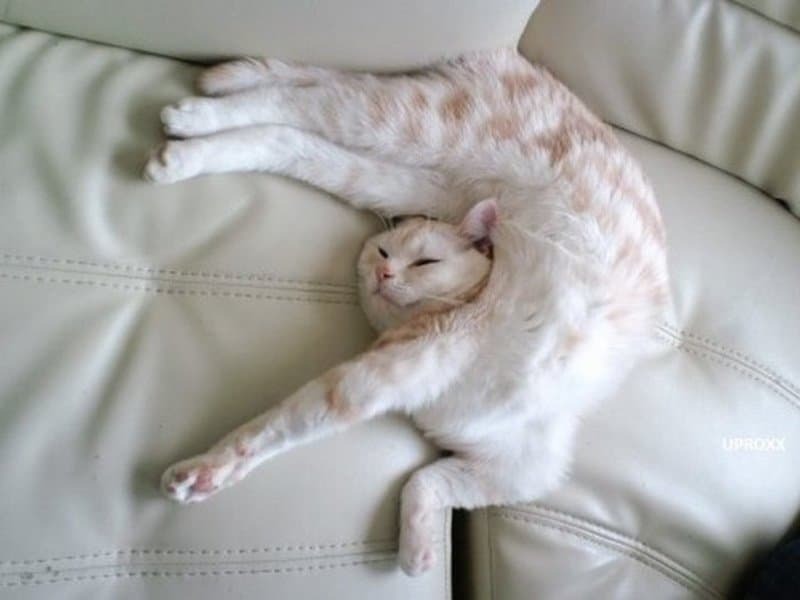 Instead of laying in it, they tend to put their upper body on the seat and the rest of their body hangs off. 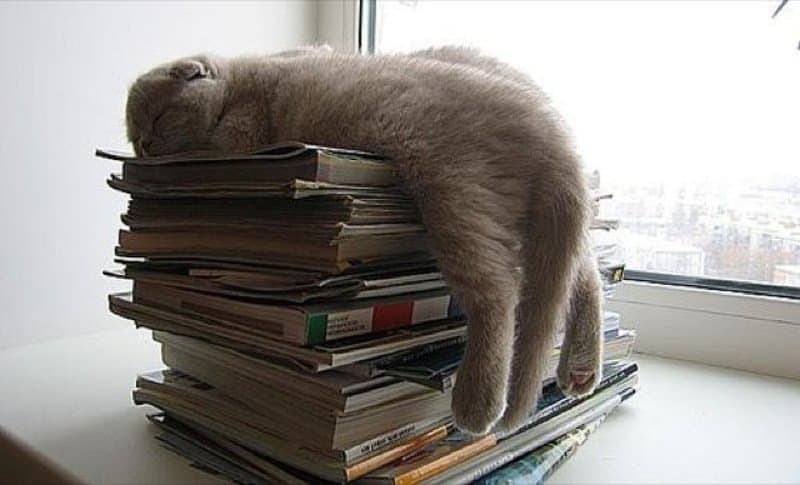 That must have inspired this kitten to do the same on a stack of magazines. 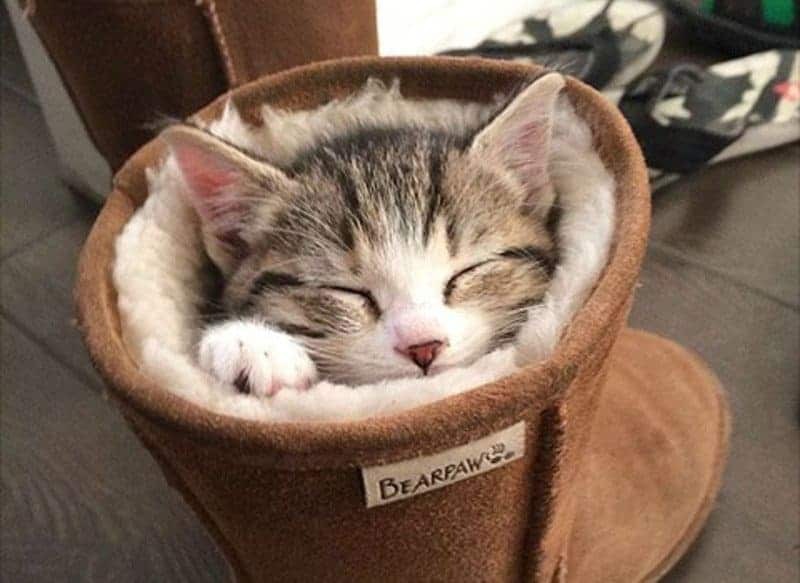 Cats don’t mind trying to fit into things that they may not be able to get out of. We don’t really know how this guy managed to get himself in this situation, but it certainly seems like he’s enjoying himself. 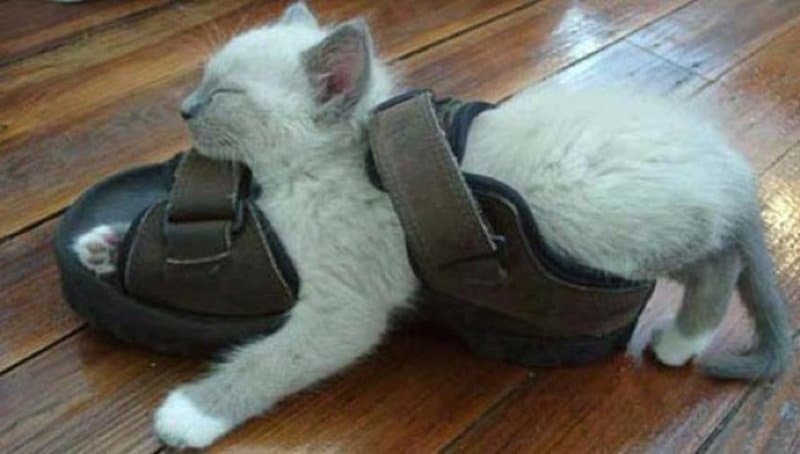 Perhaps the cutest thing kittens do is try to make themselves proportional to the object they’re trying to fit in. 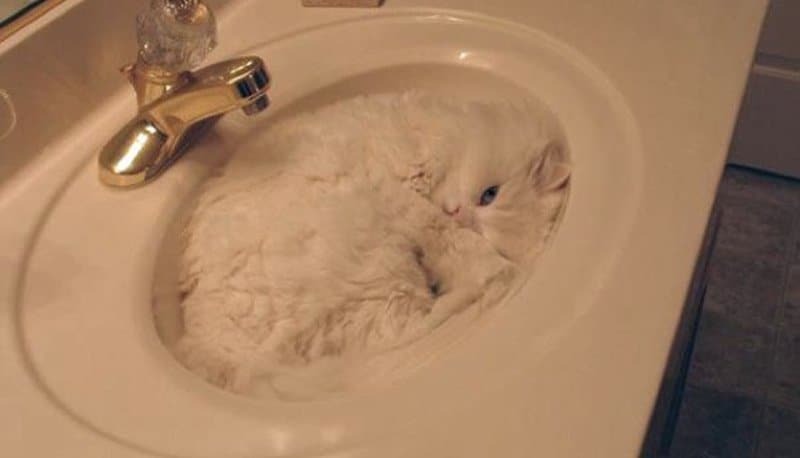 Nothing is more entertaining than seeing their fluffy friend try to fit into a small box or a bathroom sink.